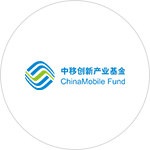 China Mobile Innovation Industry Fund was jointly initiated and established by China Mobile and State Development and Investment Corporation (SDIC). It adopts the form of limited partnership. The first phase of the fund is 5 billion RMB, focusing on investing in promising industry leaders in the mobile Internet industry. The fund makes full use of the industrial resources of China Mobile and SDIC, seizes the best investment opportunities in the cross-disciplinary integration of related industries, and implements industrial distribution and ecosystem construction through investment in leading companies in the related fields of the industrial chain. With the rich investment and industry management experience of the administration team, the fund has established a strong risk control system, a comprehensive investment process, and effective value-added services to enhance its core competence. The fund aims to create considerable return on investment for investors, and to achieve long term win-win outcomes for both the investors and the invested enterprises. Shenzhen Capital Group was established in 1999 with registered capital ranging from 700 million RMB to 4.2 billion RMB, managing nearly 80 billion RMB of capital and assets. It has invested in over 631 enterprises and 107 IPO projects so far. It provides the most professional capital market operation services and related resources to the invested companies. With a team of 150 professional investment managers covering 7 major fields in the IT industry, it has the first and the largest postdoctoral workstation in entrepreneurial investment in China. The group has established 73 government supervised funds, 45 commercial funds, 4 Sino-foreign joint venture funds, and 1 public fund. The group is the sole partner of Qianhai FOF, entrusted to manage the National SME Development Fund, with nationwide investments and service network. With 17 years of history, it has accumulated resources of nearly 10,000 enterprises in various industries, and has set up the SCGC Entrepreneurs Club, providing enterprises with the support in management and industrial chain. Beiguang Wenzi Gehua Capital was jointly initiated and established by Beijing people's Broadcasting Station, State-owned Cultural Assets Supervision and Administration Office (SOCASAO) and Gehua CATV. It aims to integrate high-quality cultural assets, and to grow with the invested enterprises though the extensive internal resources of the three initiators. 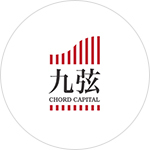 Beiguang Wenzi Gehua Capital currently entrusts Chord Capital to manage the business. Chord Capital focuses on investing in two major fields -- culture and technology, and keeps establishing particular investment funds for movies, TV shows and live performances. 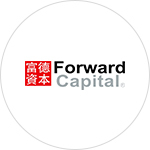 Founded in February 2010, Forward Capital is headquartered in Beijing with offices in Shanghai, Shenzhen, Zhengzhou, and Hong Kong. 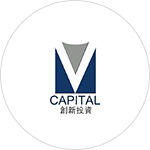 Focusing on investment management and related consulting services in China, Forward Capital currently manages six RMB funds and two foreign currency funds, including a new material venture capital with government fund as one of its shareholders. The total fund exceeds 1 billion RMB. Forward Capital's core management team has in-depth knowledge in financial capital theories and rich experience in investment banking, finance, and legal practice. The capital has remarkable expertise in real estate, new energy (NE), modern agriculture, TMT, energy conservation and environmental protection, emerging equipment manufacturing and other high-tech fields. It has profound understanding of the reform of China's capital market and the developmental path of private equity investment at home and abroad. Dr. Suning Tian, also known as Edward, is the founder of the China Broadband Capital Partner (CBC Capital). He is a prestigious entrepreneur and business administrator in telecommunication industry, with rich experience in overseas investment and financing management. He is well recognized and highly trusted by colleagues, investors and department managers in the industry at home and abroad. Mr. Tian is the vice president of the China Private Equity Association (Tianjin). Prior to the establishment of CBC Capital, Dr. Tian was the founder and CEO of China Netcom Holdings. He served as the deputy general manager and a member of the Communist Party of the restructured China Network Communications Corporation. After the company went public, he served as the president and later served as the deputy chairman. Dr. Tian also serves as the deputy chairman of PCCW. 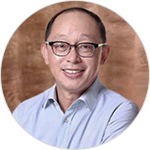 Prior to joining China Netcom, Dr. Tian was the CEO and a co-founder of AsiaInfo. Under his leadership, AsiaInfo was successfully listed on NASDAQ in the United States in 1998. Dr. Tian also served as a member of the board for many well-known international companies including Lenovo and MasterCard. He also held important positions in a number of domestic and overseas financial institutions and was invited to be one of the only two Asian consultants for KKR, the world's largest merger and acquisition fund. Mr. Tian Suning won the 2016 China Venture-FT Best Investor in China Award.